As a result – we have a setup of several chart windows, where we can quickly access given symbol showing chart with its separately stored parameters. 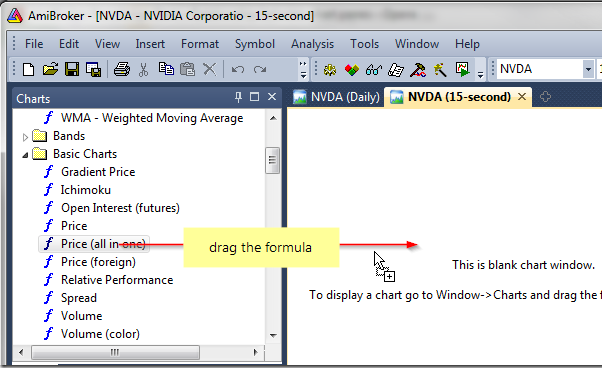 To display this chart, open the Formula Editor, enter the following code and then press Apply Indicator button. 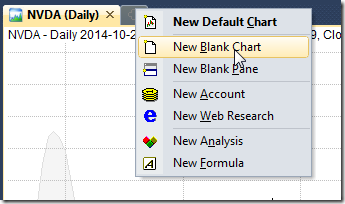 This way we can handle all individual parameter values within a single chart pane.